By the end of September, eBay sellers will have more characters to describe their items in their listing titles and eBay Stores will have a new default search algorithm. These are just two of the changes that will take effect later this month. The additional characters are part of eBay's Fall Seller Update, which the marketplace announced earlier this year. The change to eBay Stores is not. It is an additional change meant to give shoppers the "most relevant" search results when they shop, eBay notes in its General Announcements. Best Match, which eBay currently uses for non-eBay Store listings, will become the default algorithm in stores by the end of the month. Merchants who have set a preferred sort order for their stores will not be affected by this change, though eBay recommends that sellers use Best Match with the holiday season on the horizon. But these aren't the only changes sellers will notice during the month of September. They'll also see a new Tickets category for sports, concerts, theater and other events. And merchants who offer GPS devices will find that they can't list these items unless they are associated with eBay's catalog. These changes take effect in early and mid-September. The change to the number of title characters sellers can use takes effect the first week of September. When it does, eBay sellers will have 80 characters to describe their items—25 more than they had in the past. 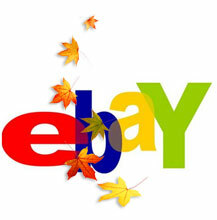 By Oct. 1, listings that include a link or an e-mail address will not post on eBay. Several policy changes have already taken effect, including one that states that if a buyer doesn't contact a seller before opening an eBay Buyer Protection case, and the merchant tries to quickly resolve the issue, the case won't be included in sellers' performance ratings. That change took effect Aug. 31. I was able to use 80 characters just fine. Now I just have to figure out what to write that's 80 characters long! We are able to use 80 Characters as of today on eBay but not on Auctiva. If you are going to charge for this service now, there is an expectation for you to be prepared with these kind of changes! still only use 55 characters as of today, Sept 4. Am I supposed to have 80 now? Buyers can try new search results page to get quick snapshots of items, eBay says. Site offers tips for discounts, boost in search and must-have predictions. Marketplaces, PayPal and GSI all contribute to gains.